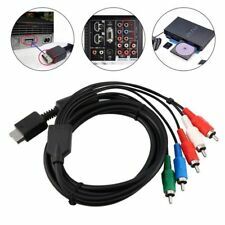 Works on any model of Playstation console 1, 2, or Playstation 3. leads & carry cases. 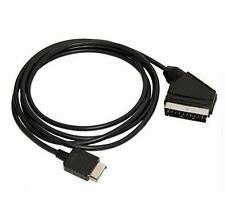 New Component HD AV TV Cable Lead Scart for Playstation 2 3 PS3 PS2 UK. Condition is New. Dispatched with Royal Mail 2nd Class. Never used. Sealed in original packaging. 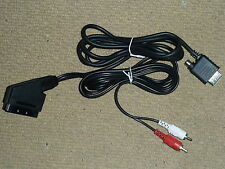 SONY PLAYSTATION PS1 PS2 PS3 OFFICIAL COMPOSITE AV TV CABLE LEAD & SCART ADAPTER. Condition is New. Dispatched with Royal Mail 2nd Class Large Letter. Strong moulded Sony video port plug with strain relief. 3rd party product, not an official Sony item. Cable length: 1.8m. This does not affect your statutory rights. Colour/Style: Will vary from photo. PLAYSTATION 1 2 3 PS1 PS2 PS3 SCART TV CABLE LEAD ADAPTER BRAND NEW & SEALED! Made by: 3rd Party - Play On. SONY PLAYSTATION 2 3 PS1 PS2 PS3 SCART CABLE STEREO AUDIO CONNECTIONS Lead NEW! Note!!!! This is not scart to HDMI cable !!!! 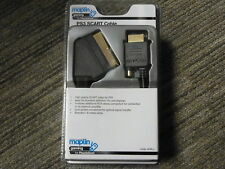 - This scart cable can not be used with other adapters or converters - This cable is not for Scart to HDMI DVD players Descriptions: - Real RGB Scart Cable for PS1/ PS2 / PS3 - Replace your broken / bad connection cable - Compatible with PAL consoles only . 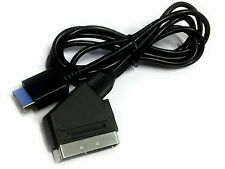 One standard play station connector. Audio left and right (White and Red). Video Jack (Yellow). Colour: As the picture shown. Features composite video ports, useful for G-Con Light Guns. Replace your broken / bad connection cable. Product picture is for reference only. We don't hold any responsibility to the color difference and will not accept about such related complaint. Cable Length: approx. SONY PLAYSTATION PS1 PS2 PS3 OFFICIAL GENUINE RGB SCART CABLE LEAD ADAPTER RARE! OFFICIAL SONY PRODUCT! Very rare accessory! Support RGB signal, audio video signal output function. For Sony Nintendo SNES/NGC. Superb quality Audio & Video. 6ft In Length. 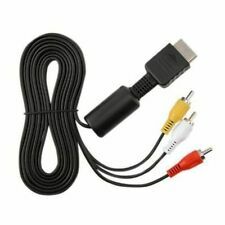 This AV Cable provides composite video audio [L/R] output for connecting your Sony PlayStation 2 or 3 to a TV / Monitor. 1Piece AV Cable. I am sure it the right thing you need now. - Ultra thick and flexible jacket with color coded connectors to simplify installation. 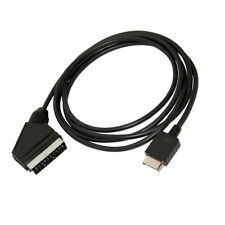 If you want this cable for Japanese RGB21 TVs, you can add modification service here. Factory produced cable with moulded plug. Much better screen quality than normal AV cable. Cable length - approx. Support RGB signal, audio video signal output function. For Sony Playstation 2/3. Superb quality Audio & Video. 6ft In Length. EU Adapter. Notebook Adapter. 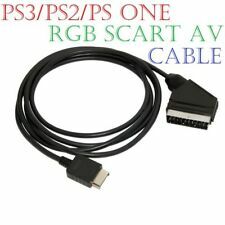 RGB SCART Cable TV AV Lead for Playstation PS1 PS2 PS3 Slimline Game Consoles UK Condition is New. Dispatched with Royal Mail 1st Class. Red and white cables are used for stereo audio and the yellow for video. Simply connect to your console and plug the red / white / yellow (RCA) connectors into your TV. Support RGB signal, audio video signal output function. 6ft In Length. For Sony Playstation 3. Superb quality Audio & Video. EU Adapter. Notebook Adapter.